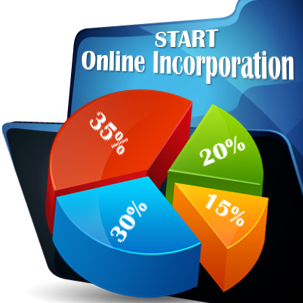 CompanyFormationSerbia.com provides the necessary instruments for company incorporation in Serbia. Before starting a business, the investors must be aware of the types of companies they can open in Serbia. Just like in any other European country, the investors who want to start a company in Serbia may choose any suitable form of business they want. There are the limited liability companies - private (d.o.o.) or public (a.d.) - and partnerships - general (o.d.) or limited (k.d.). Our company formation specialists in Serbia are at your disposal with complete support at the time of company registration in this country. What is a Serbian limited liability company? • details about the initial capital contribution which is kept in a temporary bank account. How can I open a joint stock company in Serbia? - open joint stock company (with a minimum share capital of 25,000 EUR and more than 100 shareholders). Only the stocks of the open joint stock company can be registered with the Stock Exchange in order to increase the capital. The major decisions are also taken by the general meeting of the shareholders, while the daily ones are taken by a board of directors, controlled by a supervisory board. How can I open a partnership in Serbia? The Serbian general partnership is formed by two or more individuals or corporate bodies united under a partnership agreement and with a personality not separated from the one of the entity. No minimum share capital is necessary to run this business and the capital is usually stipulated in the partnership agreement. All the major decisions are taken by all the members and, in the case of liquidation, the personal assets of the members are not protected. A Serbian limited partnership (K.D.) is similar to the above type of partnership, but it has two types of members: ones with unlimited rights and liabilities in the entity, called general partners, and at least one partner with rights and liabilities limited by the contribution at the partnership’s capital. There is no minimum share capital request for starting this type of company in Serbia. • the registration with the tax authorities is necessary for obtaining a tax identification number and a VAT number. 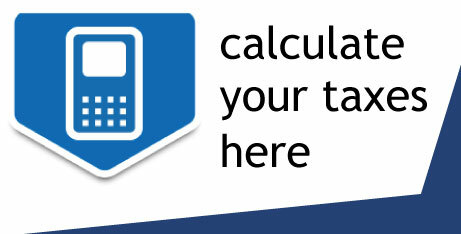 This process is free of charge and it is made by submitting a form downloaded from the official tax authority website. If the entity will hire employees, it is mandatory to register those at the Employment Fund and, only after taking this step, the company may begin the processes specific to the business. Under the Law on Employment and Insurance in Case of Unemployment, any Serbian employer must submit an application on the vacancy for jobs with the National Employment Office. Prepare and draft the Articles of Association with information about the company and the owners. Appoint a representative for your business (talk to our specialists and ask for support in this matter). Fill out the application form for business registration with the Serbian Business Registration Agency. Open a bank account for the minimum share capital and for future financial operations. Apply for special licenses and permits before starting the activities in Serbia. Apply for the company’s seal and then register for tax purposes in Serbia. Registration fee: approximately RSD 5,000 (EUR 43) is needed for registering a company in Serbia with the local Trade Register. Virtual office cost: approximately EUR 50 for a virtual office package for your business in Serbia. Minimum share capital: RSD 100 (approx. EUR 1) are needed for opening a limited liability company in Serbia. Company formation fee: around EUR 589, a reasonable offer from our company formation agents in Serbia. Accounting costs: starting from EUR 30, but for a personalized offer talk to our accounting consultants in Serbia. Foreign investors who want to enter the Serbian market in a fast manner can purchase shelf companies. These ready-made companies in Serbia can suit most business needs of foreign entrepreneurs. A shelf company in Serbia comes with varied benefits among which less bureaucracy, as this is a registered company, an established bank account, a transparent background, and no debts. Please feel free to ask our team of specialists for extra details about shelf companies in Serbia. The set of laws that stand at the base of company formation in Serbia, plus the regulations of doing business in this country is the Companies Act in Serbia. It comprises complete information about how a company can be opened in Serbia, depending on the chosen type of structure (LLCs, partnerships, joint stock companies), about the rights and liabilities of shareholders in the firm, about the share capital and about the ways in which an enterprise can close its operation at a certain point. Likewise, the Company Law in Serbia stipulates information about the commercial activities a specific company can perform. Having a permissive business legislation directed to the foreign investments for which varied improvements have been introduced by the government, Serbia aligns with important financial hubs all over the world that provide a proper business climate for numerous activities. The incorporation process of a firm starts at the Serbian Business Registers Agency founded in 2005, and the requirements imposed. This is a one-stop-shop that provides complete company formation services, and which is sustained by the governmental efforts to ease the ways in which a business can be registered. The Serbian Business Registers Agency runs in complete attention to the business needs of both national or international entrepreneur by reducing the bureaucracy and the administrative matters involved in the registration procedure. Instead of dealing with possible misunderstanding, mostly because of the language barrier, we invite you to talk to our company incorporation experts in Serbia and find out how we can help with company registration in Serbia matters. Foreign investors who decide on having a business in Serbia without the intention of opening an accounting department should know that they have the possibility of externalizing such services with the help of our experienced accountants. In this direction, we provide support for payroll, VAT registration and filings, bookkeeping, financial annual statement, and varied tax minimization methods in compliance with the business needs. Also, your company with establishments in Serbia may benefit from tax planning and consultancy offered by our team of accountants in Serbia. We remind that our team performs the accounting services for your business in Serbia in respect to the International Financial Reporting Standards and the local legislation applicable in Serbia. • collection of bank statements and any related documents which can be forwarded to the business person. With a strategic position in the central part of the Balkans, Serbia has a very encouraging market strategy. Serbian workforce is highly educated and cheap. Serbia has signed very attractive treaties with Western Balkans countries, USA, EU countries etc. It signed a free trade agreement with Russia, which allows access to over a 150 mil. consumers market. Special measures are taken to encourage foreign investors who want to establish subsidiaries in Serbia, like the special treatment granted to the entrepreneurs who invest in fixed assets, with a capital amount above EUR 8 million and hire more than 100 employees in the investment period. These companies are not paying the corporate tax for a period of 10 years. Serbia also has the smallest corporate tax rate all over Europe. Double taxation treaties are signed with more than 50 countries. Serbia has become a candidate state to the European Union and specific measures are taken for reforming the state administration and public finances. Fiscal consolidation is another goal of the Serbian government, aimed at reforming state-owned enterprises (SOEs). If you need more information about how you can open a company in Serbia, you can contact our company formation specialists in Serbia.